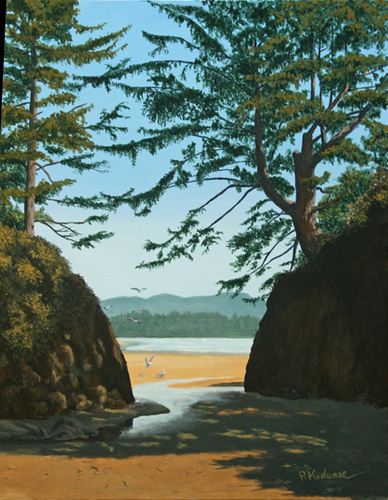 The Boat House Studio is the working studio/gallery of artist Peter Kiidumae who creates realistic acrylic paintings featuring a wide range of subjects from his west coast surroundings to other parts of the planet he has visited. 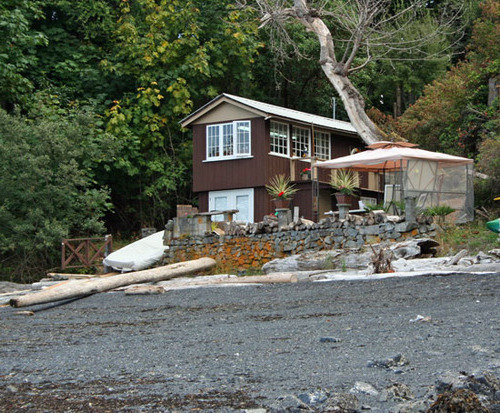 The studio is a two-storey boat house on the beach in a spectacular setting in Nanoose Bay on Vancouver Island. 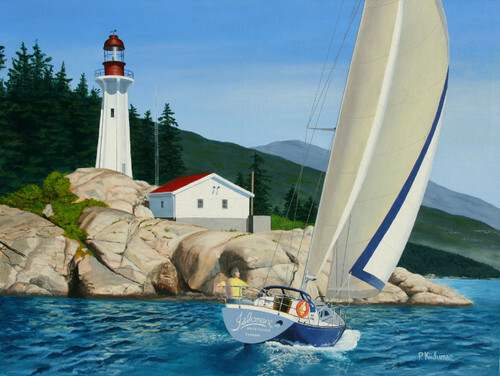 There you can find original paintings, prints, art cards, and giclee reproductions on canvas of Peter's most popular paintings. Custom sized prints can be ordered and commission assignments are taken occasionally. The view through the sea stacks on Long Beach at Incinerator Rock. Gulls taking a break on the shore rocks at Qualicum Beach, watching the tide go out. Sailing on a beam reach past the lighthouse that marks the entry to Vancouver. The wildlife area in Parksville where the Englishman River empties into the ocean. Open most weekends 10am - 4pm, from May until October.